Lock in a great price for Best Western Hotel City Ost – rated 8 by recent guests! - All the staff members were kind and smiling. - At first, the WiFi signal was not very strong in the room we had, so they gave us a small router (we just had to leave a 20€ deposit, fully refunded at departure), and even came in our room and kindly helped us with a smile when we hadn't understood how to connect it at first. That solved all problems immediately. 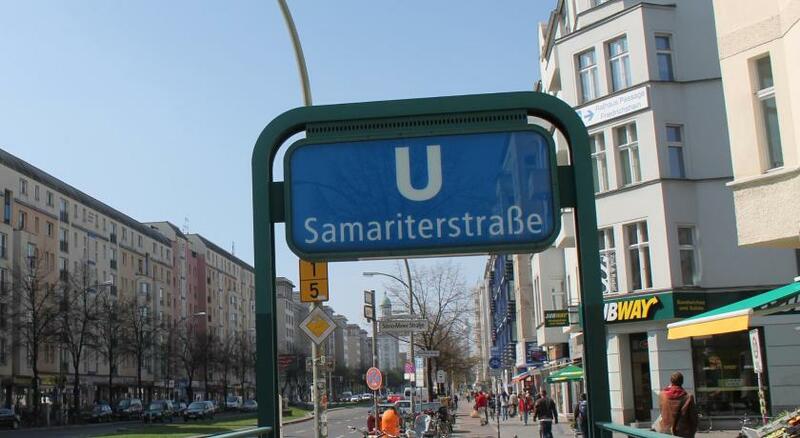 - Great location if you like this part of Berlin, with some great nightlife around Simon-Dach-Straße and Boxhagener Straße. 24 hour front desk, nice staff, everything was as expected. Had a good time! Everything that you need is there, even water cooker. The excellent wifi system, as you could kist request and extra wifi hotspot for your room, really nice! The staff at the front desk were kind and helpful. The location was okay. It was close to the subway. The facilities were okay. The hotel was right next to a subway station that takes you to Alexander Platz (a main station) where you can transfer to other lines to go anywhere in the city. This was very convenient for getting around the city. The room met our needs, and was a decent size. We could get in early, which was very helpful after a long morning traveling. It was wonderful I will stay there again for sure I really loved the location of the place and the room was very spacious. The staff was super friendly and very helpful. I also liked the homely feel of the room. Nice hotel with v good location and cleanliness . It was worth the value for the money being book on their sale price so expect what it's worth. Expectation was way below zero. Smelly, carpets are dirty . Internet was wayyyyyyyyy bad. Being away from home expect customers needed an internet to contact family especially that our cellphone doesn't work. Frusssstrrrratttting....!!!!! 😬😬😬😬😬😬😬😬😤😤😤😤😤. Receptionist upon our check in was very very nice, the second day was bad, asked direction didn't explain to us to ride the train, how will I know to go here and there, u will have to ride a train and this and that, but looks irritated of all my questioning. You know what we asked the guy whom we met when we ate at his restaurant and he pretty much explained to us on what to do to reach this destination. The location has a lot of noise since it is in the middle of the city wherein ambulance has been going around almost the whole night. Best Western Hotel City Ost This rating is a reflection of how the property compares to the industry standard when it comes to price, facilities and services available. It's based on a self-evaluation by the property. Use this rating to help choose your stay! The East Side Gallery is only 1.9 mi from the Best Western. Alexanderplatz square is just 5 underground stations away. Bicycles can be hired for exploring Berlin. When would you like to stay at Best Western Hotel City Ost? This triple room features a electric kettle, soundproofing and air conditioning. House Rules Best Western Hotel City Ost takes special requests – add in the next step! Best Western Hotel City Ost accepts these cards and reserves the right to temporarily hold an amount prior to arrival. It can be pretty loud because of the traffic noise. Furthermore this place is quite expensive. The hotel is well located on the frankfurter Allee. All hotspots of this area are in walking distance. Modtagelsen sent om aftenen var elendig. Herren ved skranken var bestemt ikke kompetent. coffie was good. Bread OK , but is was Sunday. floor is a bit outdated - but that is what it is. WiFi signal could sometimes be a little off. Other than that everything was good. I can’t really think of something bad about it. A very clean hotel, the staff was really friendly and accommodated all of our needs. A big plus is that the property is right next to a subway entrance, and public transportation in berlin is easy and straight forward. Breakfast could have been with better options.. wifi was very bad.. The price/location. The room are very comfortable. Maybe more English channels on the TV. Also the description of the room said that it had a fridge but our room didn't have one. We couldn't control the air conditioning in the room, so if we wanted the room to be cooler, the only way to do so was to open the window. Bed was very comfortable & the room was clean. Location is excellent, literally next to the u-bahn station. Staff were really friendly. The hotel staff were kind and helpful, we stay in this hotel a lot and we are never disappointed. The beds were comfortable. We had a special request in advance regarding pillows and it was perfectly met. Staff friendly. Parking is extra but conveniently on the premises. Good location in terms of practically situated near public transport and many shops. Our room on 5th floor, was quiet. Compared to what we paid (end Jan/early Feb), the overall experience was excellent. Room size was good for basic room and 2 people. We would definitely stay there again.